Newest Ladies of Charity association in Norristown, PA joined by Daughters of Charity and members of the LCUSA national board. 26 new members! It was a glorious celebration. The investiture was held on November 4, 2018. 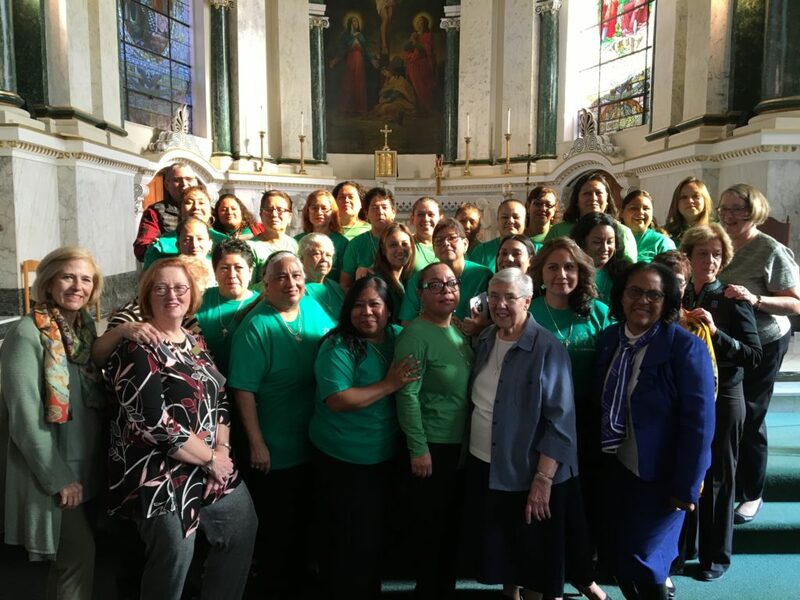 It was a lovely Sunday in beautiful St. Patrick’s Church filled with supporters of the 26 newest members of Ladies of Charity who were invested during a Spanish speaking Mass concelebrated by Fr. Gus Puleo and Fr. Flavio Pereira Tercero, CM, Spiritual Advisor. This is the first Latino Ladies of Charity Association in the Mid-Atlantic Region. The women were all dressed in green and were so joy-filled. It was wonderful to have not only Fr. Flavio present, but also Sr. Claire Debes, DC, Ladies of Charity USA (LCUSA) Vincentian Spiritual Moderator, Sr. Marge Clifford, DC, International Advancement Coordinator from the Vincentian Family Office in Philadelphia, and Daughters of Charity from the area. Six LCUSA Board members from the Northeastern and Mid-Atlantic Region were also present. Formation for this group of women took place for more than a year under the guidance of Fr. Flavio and Claudia Strohm, who was also invested during the Mass. 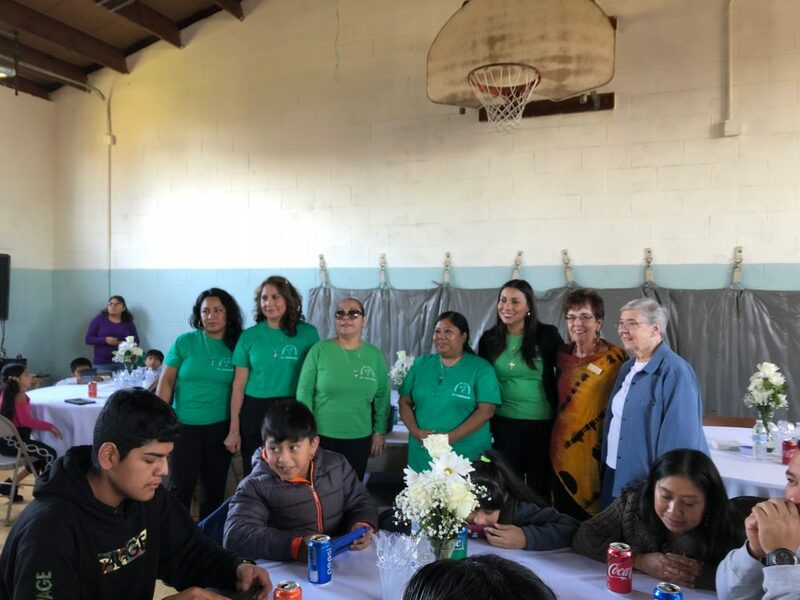 Their formation included spiritual retreats, preparing food and serving the homeless, visiting those who were ill, and learning about Vincentian spirituality and expectations of service to those in need. Karen Radu, LCUSA Mid-Atlantic Vice President, was responsible for bringing the investiture to fruition and did an outstanding job of organizing and welcoming the new members. Following the Mass, the Ladies of Charity of Norristown, who prefer to be known as Ladies of Charity, Hope and Faith, held a wonderful party with delicious food and speeches with an abundance of supportive family members. We welcome these wonderfully joyful, faith-filled women into the Ladies of Charity USA! Congratulations to the Ladies of Charity, Hope & Faith. Welcome to the Mid-Atantic Region of LCUSA. Look forward to welcoming each of you in person.